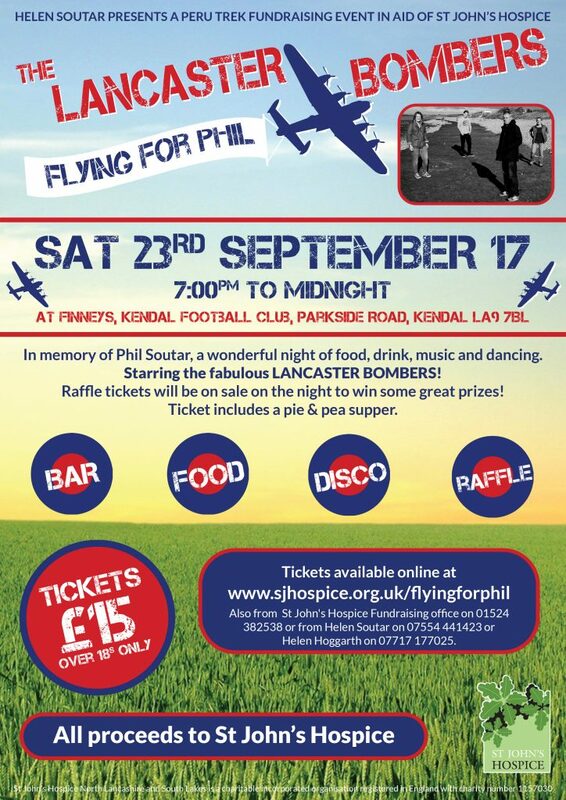 Local lady Helen Soutar has organised a very special tribute to her late husband Phil, an evening at Finney’s at Kendal Football Club on the 23rd September, to raise funds for St John’s Hospice. Amazing local band The Lancaster Bombers will be performing live, and together with a delicious Pie N’ Pea Supper, a disco and raffle it will be a really fabulous evening in a super local venue. Phil, who was a Bank Manager for Barclays Bank for many years in the South Lakes, was cared for by St John’s in their home in New Hutton and then on the in-patient ward in the last 4 months of his life. Phil passed away in April 2012 after an 8 year battle with cancer and just before their 30th wedding anniversary. In a twist of fate, when Helen decided to leave Barclays Bank in 2014 after a happy and successful 35 year career she spotted an advertisement for a Community Fundraiser at St John’s. The rest as they say is history! 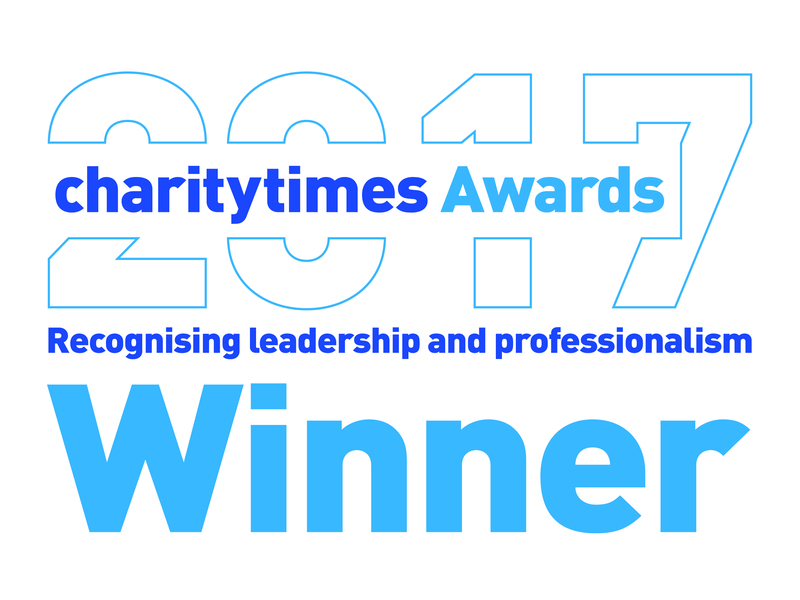 “I feel very much that this was meant to be, and by being part of the fantastic team at St John’s I am giving something back to my wonderful hospice. I have been given a new lease of life, a new career, and made so many new friends, which was just what I needed after losing my lovely Phil”. Now being given the opportunity to co-lead a team of 50 St John’s supporters on their next overseas trek – to Machu Picchu in Peru in March 2018– Helen is personally raising funds for the hospice in memory of her husband Phil and to support the Peru Trek Team’s collaborative goal of raising a minimum of £150,000.00 for St John’s. “It would have been my 35th Wedding Anniversary this year, and I know that Phil and I would have travelled somewhere special to mark the occasion, we did love to travel far and wide; so I feel I am doing the Peru Trek for him as well as for the hospice. But I also feeling quite apprehensive; camping in the mountains and being without hot showers, flushing loos and my hair-dryer for a few days will be quite a revelation for me. But I will be in good company and we are all feeling the same nerves. I know that we will all support each other and we will feel very proud that we have done this for St John’s and many of us are doing it in memory of someone we loved who was cared for by the hospice”. Everyone is welcome so please come along and join us at Finney’s on the 23rd September for what will be a fantastic party night and help us to raise money for St John’s Hospice – the more the merrier! Tickets are selling fast so please contact Helen Soutar on 0755 444 1423 to book your place at this special night of fundraising, or click HERE.